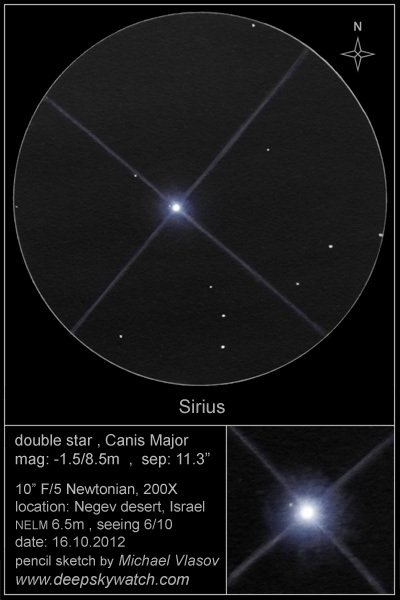 Sirius B - predicted in 1844,* but not confirmed observationally till 1862, and then only by accident, because the sharp-eyed and skilled makers of the world's then largest refractor were testing its 18.5" objective, Sirius B is a star with a rugged reputation as a tough test for an observer. When its orbit kept it lurking in the dazzling brightness of its primary, most skilled astronomers of the past using excellent optics sought it in vain. What goes around comes around, and now it's widening angular separation is reducing its cover. An extremely difficult feat has become merely a very demanding one. Now is the time to meet the challenge of Sirius B! *The year the first electrical Morse telegram was sent, Goodyear patented vulcanzed rubber, and the "British Empire's Canadian Province" (us) whipped the United States of America in the first ever international cricket match. 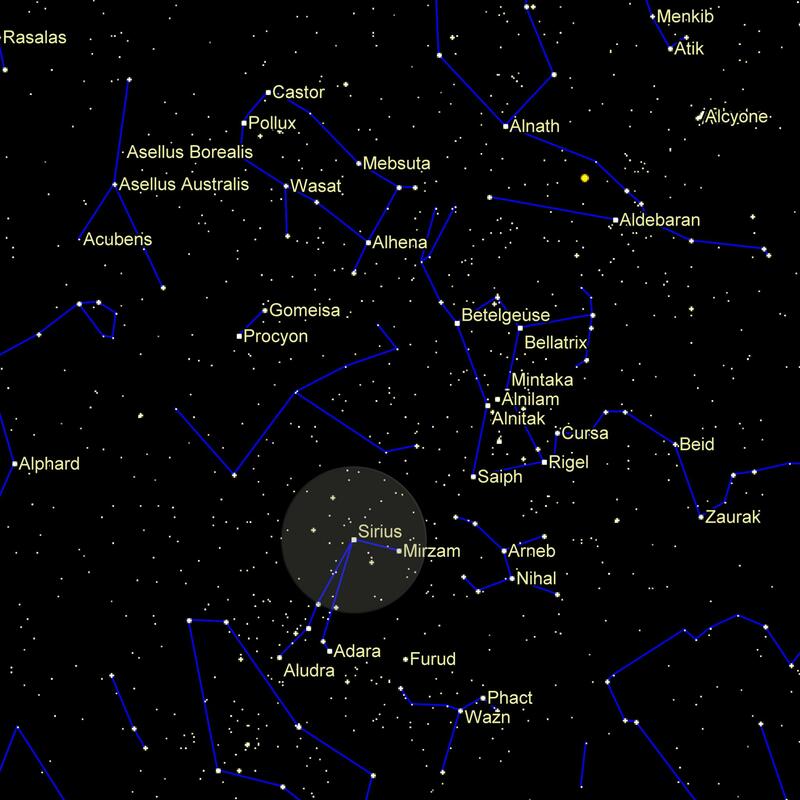 On January 31st 1862, Alvan Clark, the great telescope maker, and his son Alvan Graham, pointed their new 18.5-inch refractor into the constellation Canis Major and were rewarded with the first visual detection of Sirius B, the white dwarf companion of the brightest star in the heavens. Matching their observing feat 150 years later is still a challenge. The orbital period of the pair is just under 50.1 years. This means that Sirius B has completed three revolutions around Sirius since it was first seen by the Clarks. As we enter the season when the star is again placed for nocturnal observation, why not mark the anniversary by trying to detect this seldom seen object? If you do happen to succeed, you will have seen a telescopic vista similar to that which brought delight to the discoverers. The separation between the two stars is currently more than 10 seconds of arc (it was approximately 10” at discovery). This will continue to increase slightly until the year 2025 when the separation will reach 11.2". At magnitude +8.5, Sirius B is a full 10 magnitudes fainter than Sirius A at magnitude -1.44, making this a wonderful challenge for any observer. the customary minimum aperture is 200mm, but some have used 100mm - can you detect it with a smaller aperture? be patient, and rest your eyes! And, to paraphrase William Herschel, "it should be remembered, that when an object is once discovered by a superior power, an inferior one will suffice to see it afterwards" (RSPT 90, 1800, 29). You won't need an 18.5" Clark to detect Sirius B, and once you see it, you'll be able to find it again with comparative ease! Good luck, and remember to submit a report of your observing experience. We want descriptions, drawings, and photographs, which we'll place on this site. This isn't an observing challenge just for individuals; consider showing it to the public at very late-night or early morning star parties - you can offer your guests a chance to see a challenging sight through your scope! both deal with Sirius B,and much else besides. 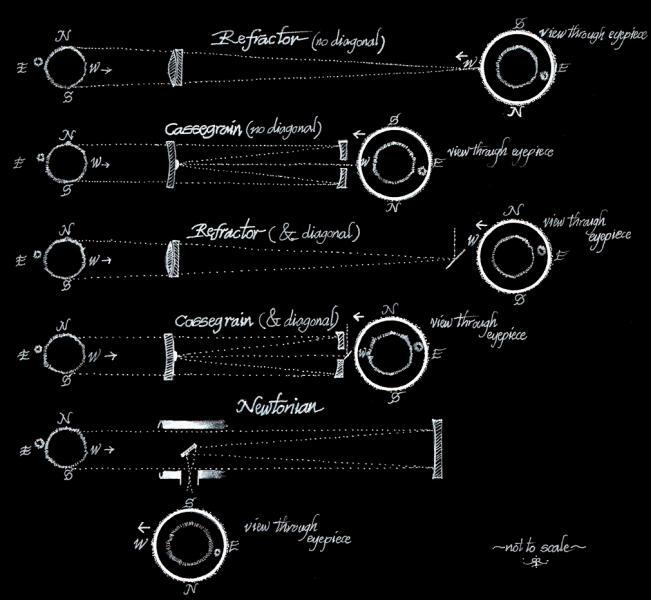 In retrospect the mid-1840s seem a golden age for the finding of celestial bodies through orbital perturbations - the positions of known celestial bodies are measured, orbits are computed using that positional data, future positions are predicted based on those computed orbits, more observational measurements are made, the known celestial bodies are not where they are predicted to be, hitherto unknown celestial bodies acting on the known objects are postulated to explain the orbital deviations, and the hunt is on to discover observational confirmation of the newly hypothezied objects. 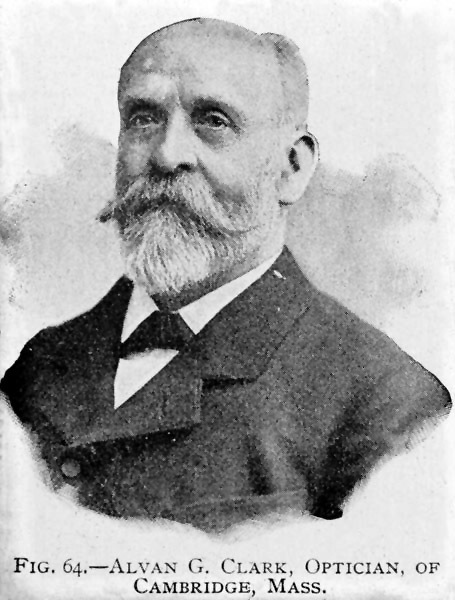 An unknown body disturbing the orbit of Uranus was predicted by Urbain Le Verrier in 1845 (G.B Adams also worked on the problem independently), the year before Bessel died and one year after the prediction of Sirius B - but Neptune was found the very next year in 1846, while Sirius B had to wait some 18 years from initial published prediction in 1844 to optical discovery in 1862. On cloudy nights, when conquering the Sirius B Observing Challenge is not a viable option, it might prove instructive and entertaining to contemplate the similarities and differences in the respective discovery accounts of Sirius B, and Neptune, particularly the differences. 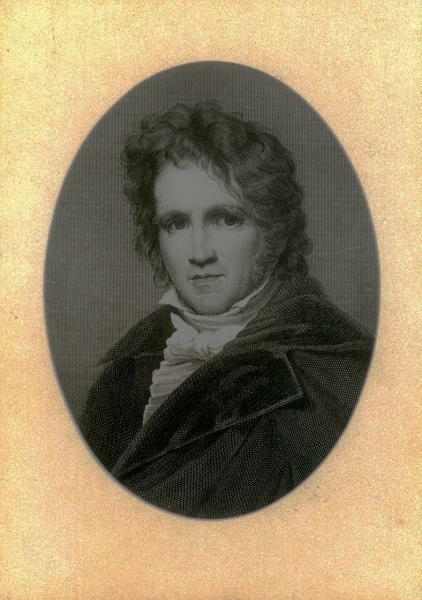 Bessel's original 1844 theoretical papers (in German) can be found here, and here, and an English report (1845) here. The first printed notices of the Clarks' discovery of Sirius B by G.P. Bond, Director of the Harvard College Observatory, can be found here, and here. The story of the discovery of Sirius and its aftermath is succinctly told be Holberg. Canadian astronomers René Racine and the late François Wesemal discuss why Sirius B wasn't discovered earlier. 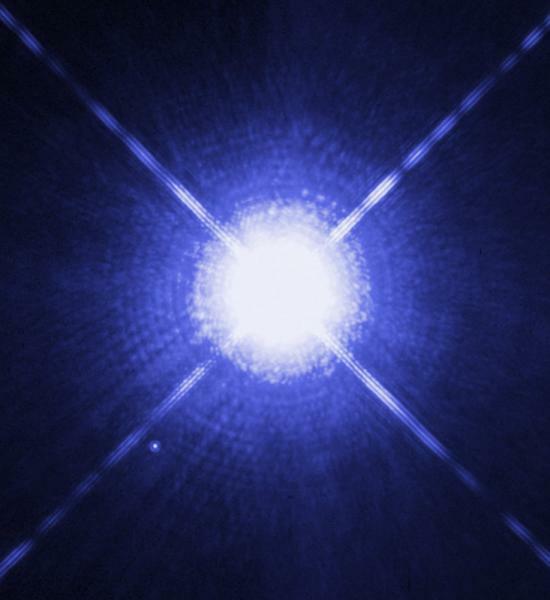 White dwarfs like Sirius B are among the first of the exotic stellar objects to enter the reality and imagination of astrophysics, heralding the pulsars, magnetars, extreme helium stars, and the rest of the mind-bending varities into which our understanding of the stellar zoo is increasingly variegated. The role played by Sirius B in the dawning of the astrophysics of white dwarf stars is explored by Holberg, as is the intriguing story of Sirius B and early proofs of Einstein's General Theory of Relativity. A good general resource for advanced amateurs on various aspects of observing double stars, including their measurement, the reduction of observations, dealing with orbital parameters, astrophotography, and sketching, is the recent collaborative work edited by Bob Argyle, Observing and Measuring Visual Double Stars, Patrick Moore’s Practical Astronomy Series, 2nd ed. (New York: Springer Science+Business Media, 2012). Classic handbooks on double stars include Alan H. Batten, Binary and Multiple Systems of Stars (Oxford: Pergamon Press, 1973 - Dr. Batten is an emeritus astronomer of the Dominion Astrophysical Observatory and a former RASC National President), Paul Couteau, trs. Alan H. Batten, Observing Visual Double Stars (Cambridge, MA-London: MIT Press, 1981 - the cover features the historic Sproul Observatory image of the Sirius system), and Robert Grant Aitken, The Binary Stars (New York: D.C. McMurtie, 1918). 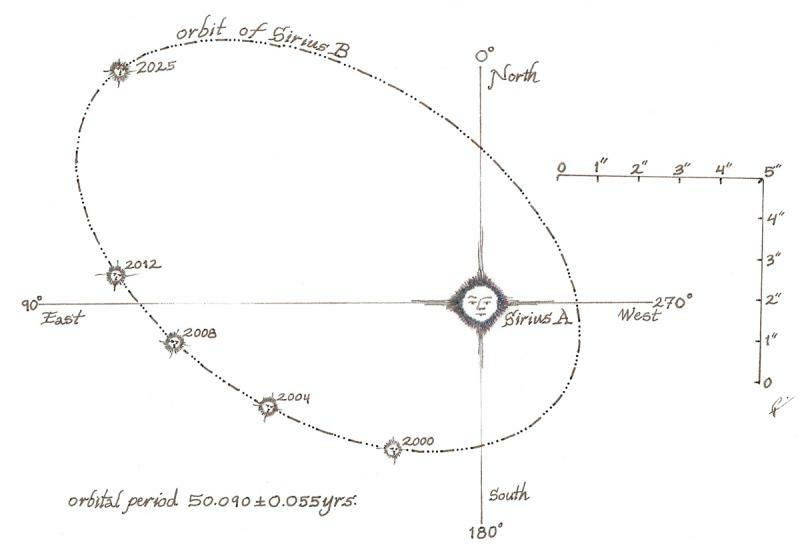 Michael Vlasov's superb sketch of the Sirius system can be found here. Harry Roberts' sketch and account is on the Sydney Observatory Blog. Team: Chris Beckett, Chair Observing Committee (Regina Centre), R.A. Rosenfeld, Chair History Committee (unattached). Special thanks to Hugues Lacombe (CF de Montréal) for advice, and Walter MacDonald (Kingston Centre) for technical support, and Dr. Roger Ceragioli (University of Arizona's Steward Observatory Mirror Lab) for a timely correction.